Did you ever wish that you could take all your important documents, photos, and songs wherever you go this summer without loading down your laptop? Well, YOU CAN with the Wireless Plus from Seagate. 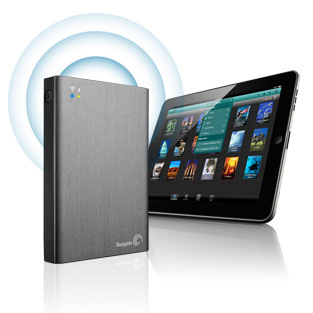 Wireless Plus is mobile storage you can access without wires or Web. It carries over 500 movies or thousands of songs, photos and documents. The best part is – you can take it anywhere as it works on-the-go and off-the-grid without an Internet connection. With 10 hours of battery life, the hard drive has three simultaneous video streams and eight WiFi connections, and it works with all your devices. With 1TB of storage capacity, Wireless Plus lets you carry and stream 500+ movies or thousands of photos, songs and documents, so you never need to choose what content to bring on your tablet or smartphone. The battery-powered Wireless Plus creates its own Wi-Fi network, so you can access all your content on-the-go without using wires, Internet hotspots or your data plan. Break free from wires and web. And if you aren't lugging your laptop around, don't worry! You can also enjoy your media on tablets and smartphones. The free Seagate Media app makes it simple to navigate and enjoy your media library on iPad, iPhone, Kindle Fire and Android devices. Like to watch movies? No worries! With Wireless Plus you can stream up to 3 different HD movies to three devices at the same time, or stream photos, songs and documents to up to eight devices. The Wireless Plus is a must have for people who love to show their far away family all their family pictures as they visit them this summer or if you want your favorite music to travel with you all summer! It is small enough to be portable and stick in any extra corner of a suitcase, purse, or bag! If you have a lot of data and travel a lot, then you will definitely not know how you lived without the Wireless Plus! 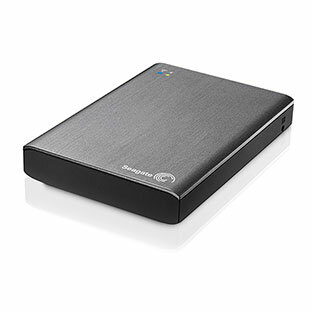 Buy It: You can purchase Wireless Plus for $199.99 from the Seagate website. This is absolutely a must have. For busy people like me, I still have to do a little work even while on vacation and this one's really great to have.